Fortieth anniversary CD set release from tokusatsu "Kamen Rider" series! 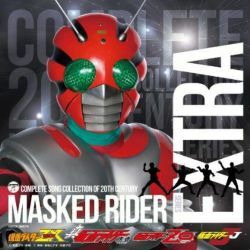 Includes first and second "Kamen Rider" series featuring the high-fidelity Blu-spec CD format (compatible with standard CD player) with digital remastering. Part of a 10-album "Kamen Rider" Blu-spec CD reissue series featuring "Kamen Rider (COCX-36965)" through "Kamen Rider ZX Shin Zo, J + Kikaku Onban Shu (COCX-36974)."